New York Painting Services is a full service contractor specializing in an assortment of services including a number of painting services to commercial businesses and residential homes in the Greater New York and Greater New Jersey areas. We are completely licensed and insured to deliver professional quality services with affordable pricing. Since 2004 we have been committed to bringing our customers with superior workmanship, friendly customer service, and a diligence to uphold high moral standards and display exceptional work ethics. 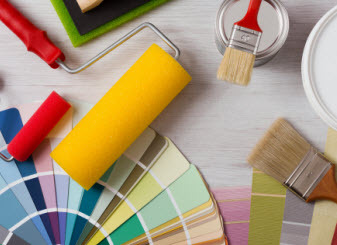 At New York Painting Services we take advantage of premium quality materials, products, supplies, tools, and equipment available only to licensed professionals to ensure that our valued customers receive nothing less than maximum results. Along with remarkable industrial paraphernalia, we are proud of our technicians that posses advanced training, years of priceless experience, and extraordinary skills that more than qualify them to perform the tasks associated with our services. New York Painting Services offer services to health care facilities throughout New York and New Jersey. Our services include exterior and interior painting, wallpaper stripping, removal, and installation, drywall installation, repair, and replacement, pressure washing, crown molding and baseboards, cabinet installation, and more. New York Painting Services interior painting services for health care facilities are to be done not only with crisp precision, but with the right colors. A common mistake is bright and bold colors, but experts agree, patients psychologically need soft muted colors to bring serenity and peacefulness to an otherwise stressful situation. Warms and cool tones are acceptable as long they stay on the neutral spectrum to bring tranquility into the room. New York Painting Services can consult with you on the most appropriate colors and complete the interior painting on your schedule. Pressure washing services are designed for the exterior of your healthcare facility in New York and New Jersey. Surfaces such as windows, rooftops, driveways, sidewalks, parking lots, storefronts, dumpster pads, and so on are easily cleaned with the right combination of pressure, temperature, and formulated detergents. New York Painting Services experts can get all theses surfaces cleaned, sanitized, and deodorized to increase the esthetics as well as the health by removing the pollutants, allergens, and contaminates that are often traced in through daily foot traffic. Contact us for more information on our pressure washing services. 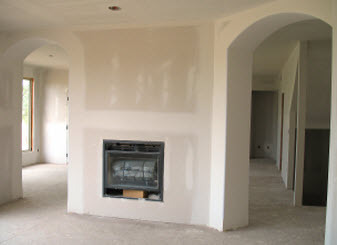 New York Painting Services drywall services can be ideal for any health care facility in New Jersey and New York. Whether you are looking for s a simple patch job due to an accident, or looking to create additional rooms and need some drywall installed, our experts can provide your health care facility with the drywall services you need and you count on it being done to perfection. New York Painting Services wall covering services include removal and installation of wallpaper, wainscoting, and other similar wall coverings. Installing wallpaper needs to be carefully and patiently. Rushing through it will make it look sloppy and uneven as well as cause it to bubble. 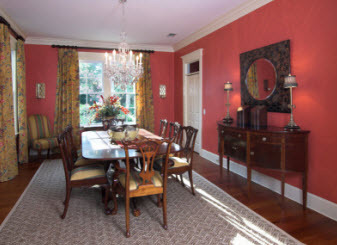 Our specialists will apply the wallpaper and ensure it is done correctly and efficiently. No matter what services you need done for your heath care facility in New York and New Jersey to improve it the looks or bring it up to code or keep up with modern trends, New York Painting Services has you covered. Call us today to get started!